Charlie “Downtown” Brown wins again, and grabs number one seed. It was a cool room this weekend, and Charlie Brown did his part to turn up the heat, with his 2nd tournament win of the season. 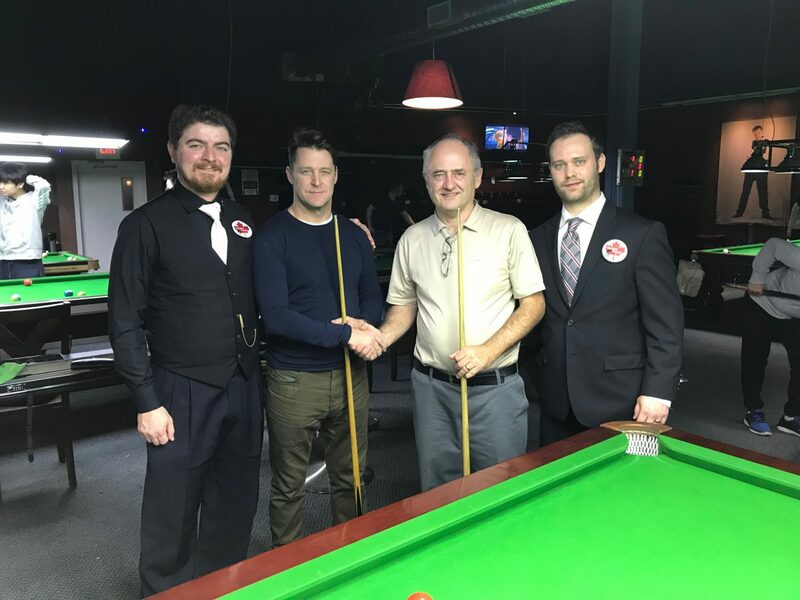 Downtown Brown took down Gary “The Professor” Wallace 3-1 to achieve victory. Parshant Sanger, who is new to these events, debut strongly achieving third place with a win over the man who seems plays in every tournament in Canada, Song Chen. 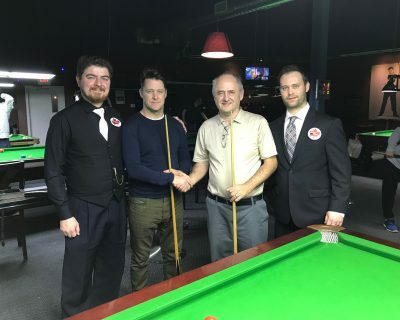 It was a smaller turn out than previous events but still a strong field of players. Our good friends Reed Unger and Dalton Roy have returned to the baize for these tournaments. Glad to have you two back in tournaments. The standings have shaken up a bit but there is still lots of snooker to go in the season. Dec. 8-9 is the date for the next tournament, so don’t hesitate and get yourself registered. Big thanks to Jonathan and the whole gang at Top 147 for hosting us and making us all feel at home. Photo taken by Lance Brommeland. Keep your head down, keep practicing and we look forward to see you at the next event.